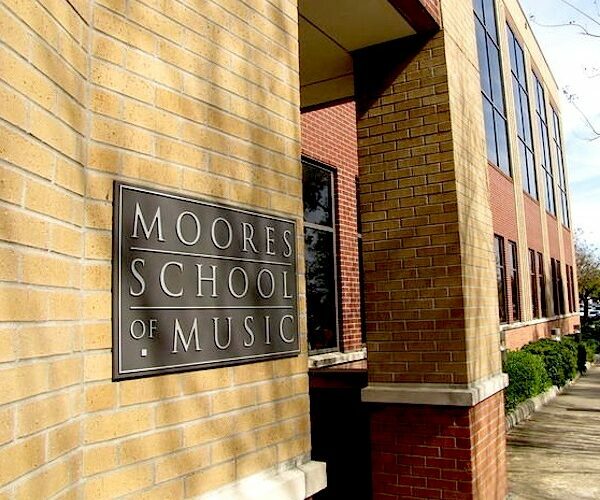 The Moores School of Music’s commitment to academic and musical excellence has made the institution a vital resource in the educational and cultural life of the city of Houston. Home to an 80-member faculty and more than 600 music majors, its thriving programs place it in the forefront of music schools today. Houston is one of only five cities in the nation with resident companies in all of the performing arts: symphony, ballet, opera, and theatre. The city hosts a vibrant arts scene, and offers our students many opportunities to perform with professional, religious, and community-based organizations. Founded in 1927, the University of Houston’s 660-acre campus is a parkland oasis in the midst of a bustling international city. With over 40,000 students, the University of Houston is the second-most ethnically diverse campus in the nation. With its affordable tuition, UH is ranked as one of the best college values by the Princeton Review and among the top ten universities for graduating students with the least amount of debt. The MSM is home to many award-winning performing groups. 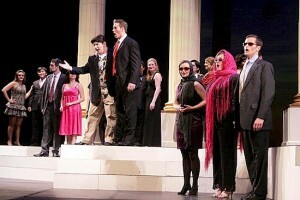 The Moores Opera Center features four full opera productions each year. The Grammy-nominated Wind Ensemble explores the wide diversity of wind-ensemble literature. 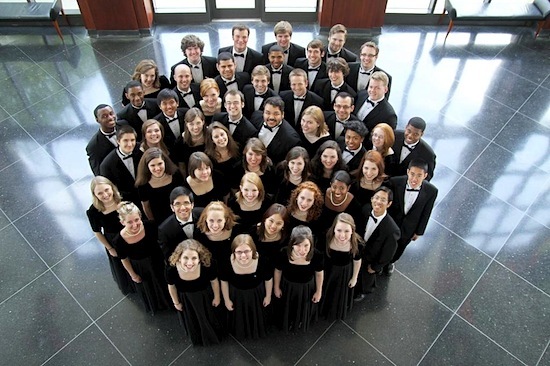 The Concert Chorale has received international recognition as one of the top collegiate choral ensembles, recently competing in Germany, Wales, and France. 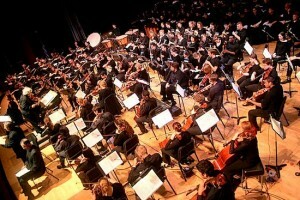 The Moores School Symphony Orchestra has been hailed by international artists and critics alike as an ensemble of professional quality and versatility. 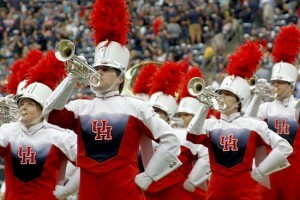 The Spirit of Houston Cougar Marching Band is an icon of the university, representing UH with unmatched energy and musicianship at athletic and community events. At the Moores School, we provide our students with a home to nurture their talent and train to take their place among the best performers and teachers in the nation. 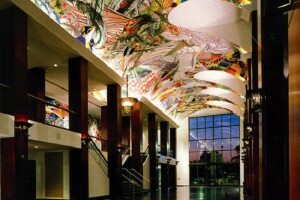 University of Houston’s Edythe Bates Old Moores Opera House is home to one of the top-ranked university opera programs in the United States. Please send me more information about scholarships, applications, and auditions for music students at Moores School of Music. Your name and email address are held in strictest confidence by MajoringInMusic.com and Moores School of Music... they will not be shared with anyone else.